Whoops. 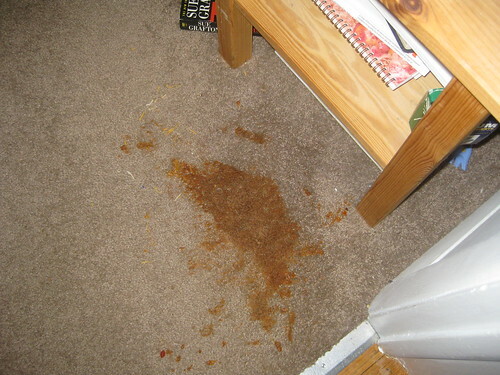 I spilled a full bowl of chili on our new carpet in our bedroom. Luckily it came up okay.